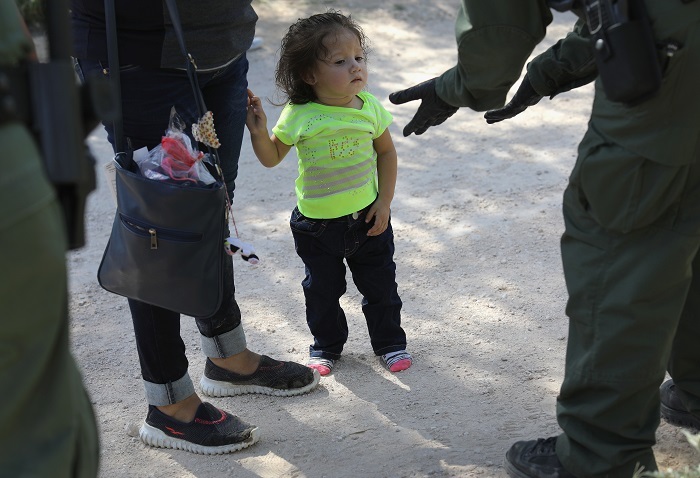 All four living former first ladies – Rosalynn Carter, Hillary Clinton, Laura Bush, and Michelle Obama – as well as current first lady Melania Trump have condemned the Trump administration's policy of separating immigrant families at the border. In the six weeks between April 19 and May 31, 2,000 children were separated from their families and sent to mass detention centers. The zero-tolerance policy prosecutes even those crossing the border as asylum seekers, jailing the adults while separating their children who are placed in government care, with no one knowing when they will be reunited. Recent images of children living in jail-like facilities in a former Wal-Mart and even sleeping on the floor of cages has caused outrage in the United States and worldwide. The plan to house children in tent cities in Texas, where the temperatures have already reached triple-digits, as space in detention centers run out has also resulted in widespread shock and criticism. One undocumented woman reported that her nursing infant was ripped from her breast by authorities. An older teenager in one cage was seen taking care of an unrelated toddler who had been separated from family, teaching the other children in the cage how to change the toddler's diaper. An audio recording released by ProPublica contains the sounds of crying children who had been recently separated from their parents, as one border patrol agent can be heard joking that they have an "orchestra." Laura Bush wrote that as someone who lives in a border state, "I appreciate the need to enforce and protect our international boundaries, but this zero-tolerance policy is cruel. It is immoral. And it breaks my heart." She continued, "These images are eerily reminiscent of the Japanese American internment camps of World War II, now considered to have been one of the most shameful episodes in U.S. history." Rosalynn Carter said, "When I was first lady, I worked to call attention to the plight of refugees fleeing Cambodia for Thailand. I visited Thailand and witnessed firsthand the trauma of parents and children separated by circumstances beyond their control. The practice and policy today of removing children from their parents' care at our border with Mexico is disgraceful and a shame to our country." 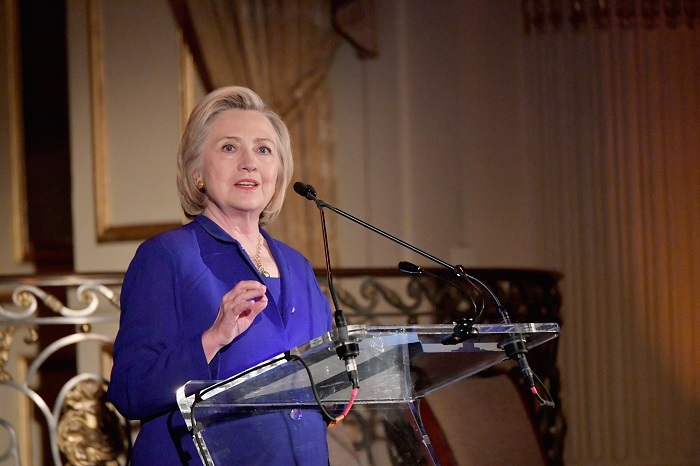 Hillary Clinton condemned the policy both online as well as at the Women's Forum of New York's awards lunch. "Separating families is not mandated by the law." The Trump administration has continually reported that the family separations are the result of a law passed by Democrats, however no such law exists and this is rather a result of the zero-tolerance policy introduced by Attorney General Jeff Sessions. Clinton also condemned the administration's use of the Bible to defend the practice of separating children from their parents. Michelle Obama shared Laura Bush's op-ed on Twitter on Monday, adding that "sometimes truth transcends party." Meanwhile, first lady Melania Trump has also said that she "hates to see children separated from their families" and urges both sides of the aisle to come together for immigration reform. As of Monday, all Senate Democrats have now co-sponsored legislation that would prohibit children from being separated from their families within 100 miles of the US border. It makes exceptions for cases involving abuse, neglect, and other specific circumstances. So far, not a single Senate Republican has supported the bill.